Articles for October 2009 Year » SoftLab-Portable.com - Portable Soft! Rip audio CDs and non-copy-protected DVDs quickly and easily with the world’s leading burning engine. Burn audio files or data to CD, DVD, Blu-ray Disc, or HD DVD. Want to burn movies to DVD? With DVD-R Dual Layer and DVD+R Double Layer support, you’ll get more data on a disc than ever before! Portable Nero BR was set to maintain your installed Nero's settings, if any. However, you have to be careful in that condition. A software package that contains seven tools used to clean your registry. RegVac contains several tools that will clean your registry and fix any detected issues. Why buy several programs to clean your registry when RegVac will do it all and more? Some of the tools in RegVac are not available anywhere else. The tools are listed below. RegVac has a Novice Mode which cleans the Registry with one button. If you want to undo something, the Vac Bag allows you to restore all registry settings removed by RegVac. These Vac Bags may also be restored outside of RegVac. The RegVac can also delete Vac Bags that are over a week old. RegCure (from ParetoLogic) provides fast and efficient scanning and cleaning of your registry so that your computer can run at an optimal level of performance. RegCure identifies invalid registry items and you decide what items you want to remove. After removing registry entries, you have the option to restore your computer to a previous state. Bring Your Pictures to Life! Animate Your Photos! Easy to Use This amazing picture morphing software transforms one person or object into another before your eyes! You've seen them on TV, in the movies, everywhere. Now you can create your very own Hollywood-style photo effects from your home computer. All you need is two digital pictures and Morpheus Photo Morpher. Amaze your friends and loved ones! Get Creative! For all the driver problems that ail your computer, ParetoLogic DriverCure is just what the doctor ordered. ParetoLogic DriverCure will quickly and deeply scan your computer to let you know which drivers are out-of-date. It then will get you updated with the latest versions. This means increased speed, performance, stability and new features. Many drivers are updated several times a year. ParetoLogic DriverCure makes sure that you have the latest versions. You will receive an email notifying you of a new driver and helping you update. This ensures your PC is always working at its best. There is no need to live with a driver-related computer illness. Keep your PC in tip-top shape with ParetoLogic DriverCure. Internet TV & Radio Player allows you to watch directly over 2000 free Internet TV channels and listen to 4500+ online radio stations on your PC. All Internet TV channels and radio stations are from 100+ countries with nearly 100 different languages (English, Spanish, German, Chinese, French, Italian and more). There are no need for a PC TV card because the TV channels are streamed through your internet connection. It can set the screen window to any size what you want, And it is easy to use. If you are interested in alternative programming, learning languages, foreign cultures, entertainment, news or more, this is a good choice for you. Powerhouse all-in-one converter, burner, audio and video editing software for all popular audio and video formats...and much more! Some of the formats supported by the software's audio editing and video editing include MP3, WAV, WMA, OGG, MPEG-4, AIFF, M4A, AAC, AC3, FLAC, ALAC, AVI, MPEG-1, MPEG-2, WMV, and more. Blaze Media Pro includes an audio and video converter, audio editing and video editing, video capture, audio recorder, data CD/DVD burner, audio CD burner, Video CD (VCD/SVCD) burner, audio CD copy, effects, media management, playlist, full-screen video support, and more all-in-one software application! Magic Utilities is a cute program designed to make your computer clean and more stable. These utilities include Uninstaller Plus, StartUp Organizer, Process Killer, Disk Cleaner, File Shredder and File Protector. Magic Utilities enables you to easily and safely uninstall programs, inspect and manage the programs that automatically start when your turn on or logon to your computer, lists and controls all currently running processes (system and hidden processes are also shown),quickly clean up temp files and unnecessary files on your computer, and enables you to encrypt any type of file. With a cool and user-friendly interface, Magic Utilities makes it easy for anyone. Smart NTFS Recovery is a data recovery tool for Windows operating system that supports the NTFS file system.Smart NTFS Recovery easily recovers data from hard disks and any type of storage media - USB drives, flash drives, PC card, memory stick, multimedia card, secure digital card with NTFS file system. Smart NTFS Recovery applies a simple yet powerful algorithm, which makes it possible to restore your lost data quickly and effectively.Smart NTFS Recovery can recover any deleted files, including MS Office files, photos, mp3 and zip files. OperaTor is a software bundle that can be easily installed on a portable memory (pendrive, usb stick, hard drive) to allow anonymous surfing while at an internet cafe, library etc. 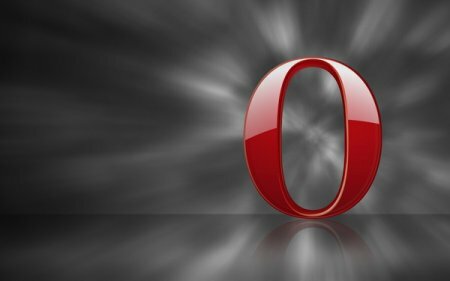 It combines the power of the Opera Browser, The Onion Router and Privoxy. With OperaTor no data will be stored at the computer you plugged your portable memory into.